How Much Should You Be Saving for Retirement/Financial Independence? How much money should you be saving for retirement? What monthly contribution will put you on track to reach financial independence on your own terms? Complete financial independence is the ultimate financial goal. It’s the point at which you get to do whatever you want with your life because you have enough money to support yourself without having to earn an income. How much you save is by far the biggest factor that determines when you’ll reach full financial independence. The more you save, the quicker you’ll get there, regardless of how well you actually invest that money. In other words, whether you’re saving for retirement in the traditional sense or you’re pursuing your own version of financial independence, your monthly savings rate is the key to getting there. And this article will help you figure out what your monthly savings target should be. Now, I don’t want to mislead you into thinking that there are any guarantees here. 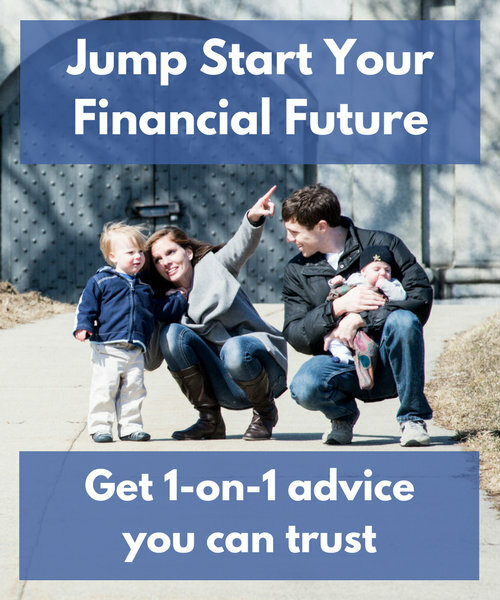 There are simply too many variables in play to give you a definitive answer that will absolutely allow you to retire or reach financial independence at a specific point in time. But I CAN give you a monthly savings target that puts you on the right track. You will still have to re-evaluate your savings plan from time to time (and you can use this exact same process to do that), but this will give you as good a start as you can get. This article makes use of the following spreadsheet that you’ll want to have open as you work through it: Financial Independence/Retirement Savings Calculator. To access it, simply click the link, click File in the top menu, and then click either Make a copy… to use it in Google Sheets or Download as to download it in Excel. I generally refer to financial independence rather than retirement because I think it’s a better and more flexible goal. You can learn more about the distinction here: Financial Independence: Redefining Retirement for This Generation. 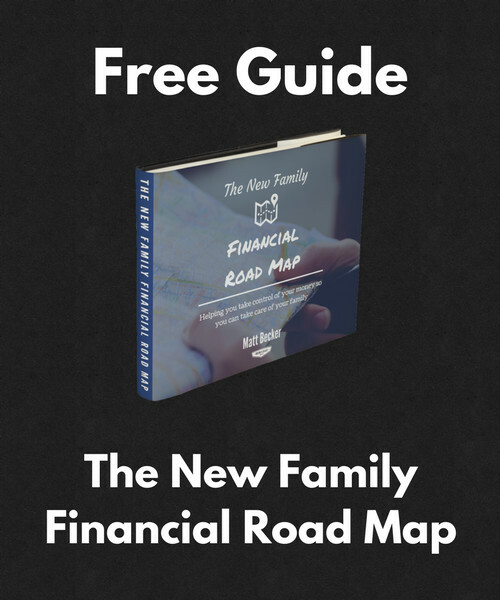 I will be using FI as a shortened version of financial independence throughout this article. Just wanted to give you a heads up to avoid any confusion! You will be doing all of your work in the FI Projection worksheet of the Financial Independence/Retirement Savings Calculator. The FI Assumptions & Notes worksheet explains some of the assumptions that go into the calculator. You are welcome to review these and even change them if you would like, though I would only change them if you are confident in what you’re doing. The Example FI Projection worksheet gives you an example of what it will look like once you’ve filled it out completely, using made up numbers for a made up couple. I often get asked why I focus on monthly savings instead of how much you need to retire or to be financially independent, as many other retirement calculators do. The reason is simply that your monthly savings rate is something you can directly control right now, and I prefer to focus on the action you need to take rather than the goal you eventually have to reach. Open up the Financial Independence/Retirement Savings Calculator and enter either your current age or your spouse/partner’s age if he or she is older. For example, if you are 32 and your spouse is 34, you would enter 34. In the Current FI Savings section of the spreadsheet, there are spaces to enter your current balance in any dedicated retirement/financial independence accounts, as well as those for your spouse or partner. Once you have entered your current balance for each account, the Current FI Savings field in the Variables section will automatically add them up to get your total current balance. You may not have a specific target age yet, but one of the fun parts of this calculator is that you can enter different ages here to see what your savings target would be in each scenario. And honestly, I would encourage you to do just that. Play around with this field and note the savings target needed to reach financial independence at different ages. That can help put some definite numbers around this question that may help you set your eventual goal. 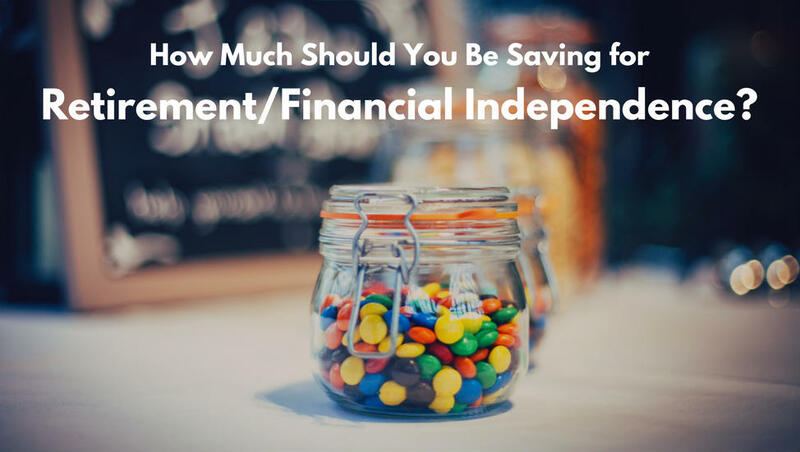 Along with your estimated FI age, your Estimated Monthly Expenses at FI is the big unknown that will have a big impact on the savings needed to reach financial independence. Simply put, the lower your required expenses, the easier it will be to reach financial independence. And this is another variable that’s hard to know ahead of time. So what I would do is start with your current monthly expenses, since that represents your current lifestyle. 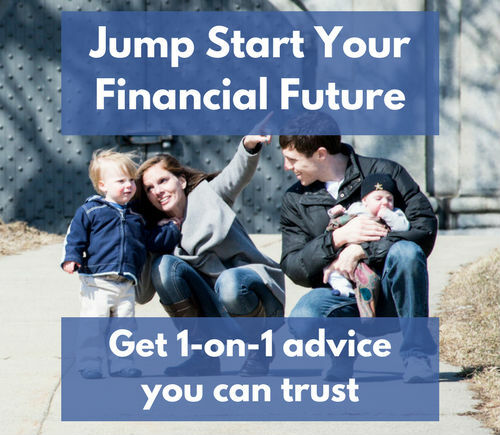 If your lifestyle remains consistent between now and when you reach financial independence, this estimate will be reasonably accurate. If you don’t know how much you’re typically spending per month, I would simply make your best guess for now. But for a more accurate view, I would suggest using a tool like You Need a Budget or Mint.com to track your spending for a few months. That information will be helpful for this projection and your general financial health. Any savings that’s really going towards expected irregular expenses like home repairs, car maintenance, etc. There’s a lot of doom and gloom out there about Social Security, but the truth is that it’s in much better shape than many people think. In fact, according to the 2018 Trustees Report on Social Security, it should still be able to pay out about 77% of the current estimated benefits through the year 2092, even if no changes to the program are made. So it makes sense to factor it into your plans. What I like to do is get the full estimate of benefits and then only count 75% of it in the calculation, just to be conservative. That’s exactly what we’ll do here. There are two different ways to get your estimated Social Security income. Both are described below. Just a heads up, the first three steps are the same no matter which method you are using. If you have a spouse or partner, you can both go through this exercise and add the two numbers together. I recommend you try this one first, just to get your statement and see where you stand. If you’ve done this before and have an account, you can click the Sign In button. Otherwise, you can click the Create an Account button and go through the process of setting up your account. Once you have an account, you can sign in and click the Estimated Benefits tab. This leads you to a page that shows your estimated benefits for a number of different Social Security programs, including retirement. Enter the monthly benefit into the Estimated Social Security Income field of your Financial Independence/Retirement Savings Calculator. Enter the age associated with that monthly benefit into the Estimated Social Security Start Age field. If you haven’t accumulated enough work credits yet for it to display estimated benefits, or if you expect your income to change in the future, you can use this next method instead. Sign in, and this time click on the Earnings Record tab. Keep this open. You will use it in a minute. In a new browser window, go here: http://www.ssa.gov/planners/retire/AnypiaApplet.html. Unless you genuinely plan to stop working much earlier, and therefore stop earning an income, enter your Age at retirement as 67. Because even if you reach financial independence earlier, you may still be working (on something you love) and earning money that counts towards your Social Security benefit. Leave the Today’s dollars or future dollars box marked as today’s dollars. For the Annual earnings boxes, you can refer back to the Earnings Recor you opened up in Step 2 to fill in your income from previous years. For Earnings in 2017 and later, enter your estimated annual income going forward. This will only significantly change the result if it’s significantly different from what you’ve been earning to this point. After filling out that information, your estimated monthly retirement income is in the box labeled Your monthly retirement benefit in the Benefit estimates section. Enter that amount into the Estimated Social Security Income field of your Financial Independence/Retirement Savings Calculator. Take the Age at retirement you entered above and put that into the Estimated Social Security Start Age field. Whichever method you used, 75% of that estimated benefit will now be factored into your monthly savings need. Step 6: Get Your Savings Target! Once you have entered everything above, the Savings Target field at the bottom of the calculator will show both your monthly and annual savings goal. This is your answer for how much you should be saving in order to reach financial independence along the timeline you want. Play with the variables a little bit to see what the monthly savings target looks like in different situations. In particular, play with the Estimated Age at FI and Estimated Monthly Expenses at FI fields, since those are the two that you have the most control over. Playing with the numbers can give you a sense of what’s possible, and seeing that range of opportunities will make it a little bit easier to start setting a concrete goal. What If You Can’t Save That Much? You may not be able to hit that savings target right away. That doesn’t mean that you won’t ever be able to reach financial independence. It just means that you will have to do a little work to get yourself on track. Here’s what I would do in that case. First, start by saving what you can right now. Even if it’s not the full amount, saving something will put you in a much better position than waiting until you can save more to get started. Set a calendar reminder to increase your savings by 1% every 6 months. Switch to a lower-cost cell phone plan, make the leap and cut cable, or otherwise lower your monthly bills one at a time and start putting the savings towards financial independence. It’s not all about cutting costs! Finding ways to increase your income can be incredibly powerful, especially over the long term. Don’t be afraid to ask for a raise or try out a side hustle to get more money coming in. Every time you do get a raise, put 50% of the increase towards your monthly financial independence savings. Any time you have found money — like a birthday gift, a bonus at work or cash from something you sold on Craigslist — put some portion of it towards financial independence. The best part about those first four points especially is that each time you make the effort, you see the benefit for as long as you continue saving. 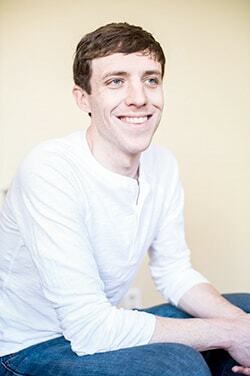 If you can make enough of those small improvements, you’ll be on track before you know it. While your savings target is a great start that will absolutely put you on the right track, this is still very much an imprecise exercise with many assumptions that may not play out exactly as expected. 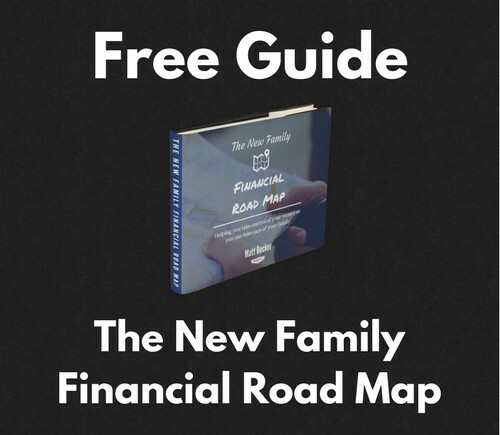 Re-visit this process on a regular basis to see where you stand and whether you need to adjust your financial independence/retirement savings target. Setting a calendar reminder to re-evaluate your savings plan each November is a good idea, so that you have time to make any necessary adjustments to your contributions for the new year. 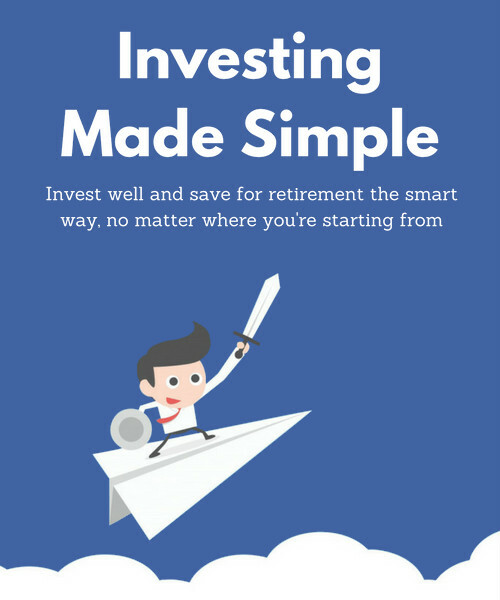 And if you’d like some guidance on how to invest all the money you’re saving, check out the guide Investing Made Simple. I really like the spreadsheet. On the spreadsheet you ask for the spouse’s asset information, but their income or SS benefits aren’t incorporated. Is there a reason for this? For a future enhancement, it would be great to add a tab that helps establish a budget for retirement. I know my current budget, but I don’t have any idea what the future holds. Good question Denis. I’m sorry this wasn’t clear but your spouse’s Social Security income should be included in the Estimated Social Security Income field. Your suggestion about adding a budget worksheet is a good one as well. To be completely honest I’m not sure how to accurately forecast what your budget will look like even a few years out, nevermind decades out, but the article does make a few suggestions about how to adjust your current budget based on future expectations. I think the main thing to do here is to revisit this process annually or so, make adjustments to your inputs based on your changing goals/circumstances, and update your savings target as needed. Nice spreadsheet! It was interesting to see the investment returns and inflation numbers you used. The real return is just about what I’ve been estimating, so that’s comforting. I appreciate the work you put into this. Made me feel a bi better about my personal calculations and estimates. I’m glad it’s helpful Lance! I appreciate you putting this put there Matt this is a great exercise to go through. The biggest problem I’ve had personally is not putting a number value on how much I should be saving. This helps tremendously. Thanks for updating, I love this and continue using it regularly. How should I account for estimated income taxes – is this already included in the savings target the calculator provides, or should I include estimated income taxes in my monthly expenses? Good question LL. Taxes are so variable that I have not included them in this calculator. You can add them to your monthly expenses if you would like. Love the spreadsheet. Definitely encouraging and motivating to see that FIRE is actually attainable. I wish the social security website calculator had a way to account for a much lower income once financial independence is achieved (say 10 years from now), as opposed to only having one blank for 2018 and later. But like you said, best to be conservative about social security and low ball the number, or even see what the scenario would be without help from social security. Happy blogging! Yeah, it’s not quite as flexible as I would like either. You can set an earlier retirement date, in which case it will assume $0 income past that date, but that’s not quite the same as assuming a reduced income. What does it mean if the savings target is a negative number? Any savings target of $0 or below means that you’ve already saved enough to reach your goals based on the assumptions in the spreadsheet. Though it would honestly take a more detailed analysis to truly determine whether you’ve already reached your savings need.